Product prices and availability are accurate as of 2019-04-13 06:35:45 EDT and are subject to change. Any price and availability information displayed on http://www.amazon.com/ at the time of purchase will apply to the purchase of this product. 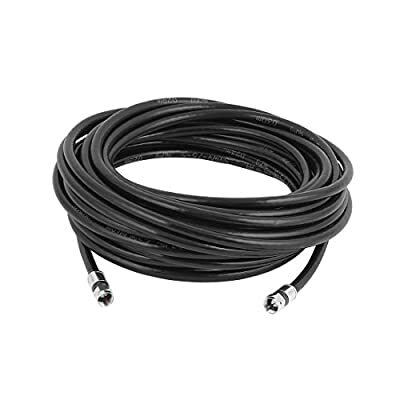 The coaxial cable is used to connect audio/video equipment, such as TVs, DVD players and satellite receivers. This cable offers F-connectors on both ends for easy installation. * Waterproof and two British F connector adapter. * High-quality Dual-Shield Coaxial Cable. * Use to connect TVs, DVD players, VCRs, satellite receivers and other A/V components. * F-connectors on each end. * Enjoy premium picture quality with virtually no signal loss. 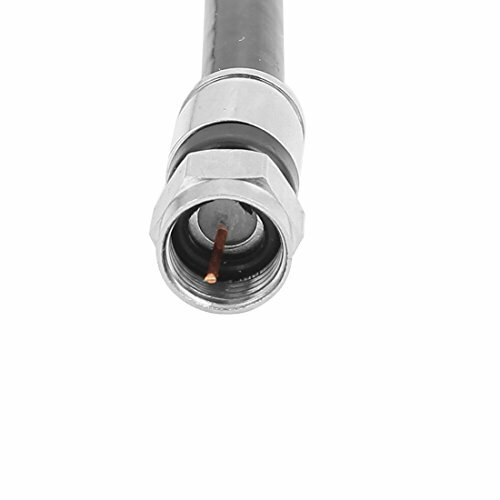 * Nickel-plated connectors establish a clean contact between the cable and connector for a reliable connection. * Sweep tested to 2200 Mhz.